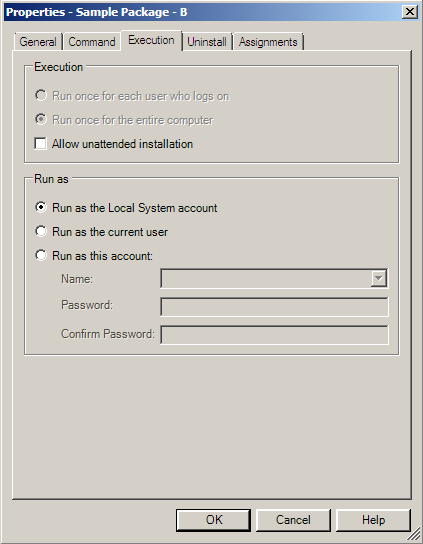 Version 10 of Prism Deploy does not correctly handle an environment that has Windows User Account Control (UAC) enabled. This issue has been fixed in version 11.0.0.43 of Prism Deploy and you will not need any special setup to get around UAC for any type of Prism task. UAC is a security layer that Microsoft has implemented in its more recent Operating Systems. 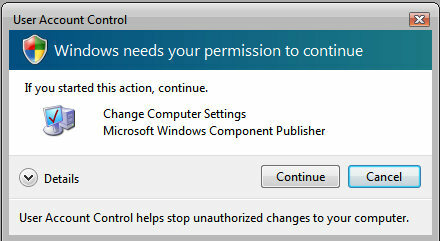 Below is an example of a UAC prompt on Windows Vista or Windows 7 where it asks for elevation to continue. 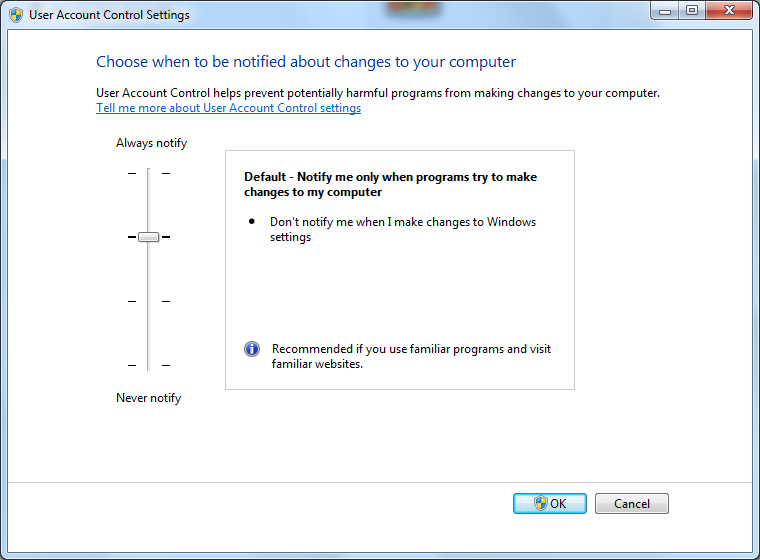 In Windows 7 there are four levels of control over UAC, from "Always Notify" to "Never Notify". By default, the Operating system places the slider in the third position, shown in the following picture. When deploying command or script tasks to an environment that has UAC set to any setting other than "Never Notify" the tasks will fail with an error code of 5200. This is because the Operating System is asking for elevation but can never complete it. To get around this issue in version 10 of Prism Deploy, we will need to make sure that tasks are set up in the following way.